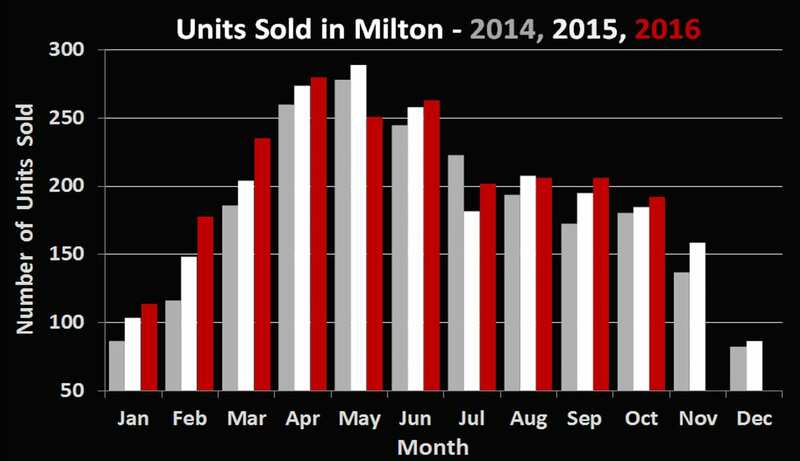 Milton’s 192 residential sales in October 2016 represent an increase of 3.8% in volume when year over year. 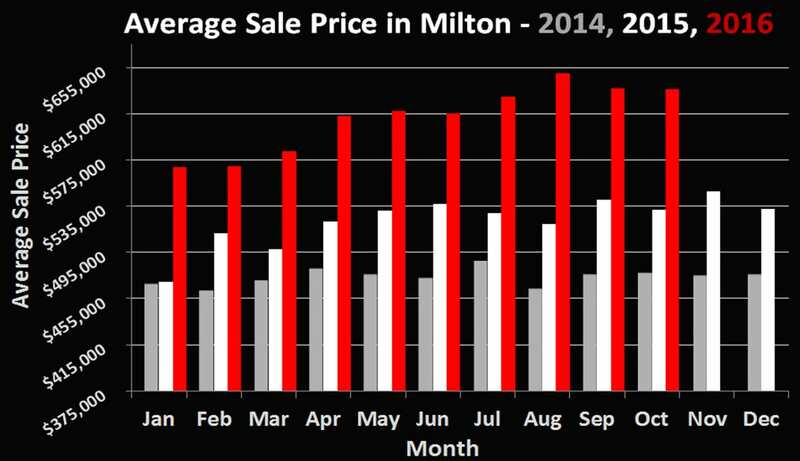 The average price of $636,500 is up an astounding 19.7% (over 100k!) when compared to the $531,600 we recorded in October 2015. More importantly, with volume up compared to last October and the average sale price being exactly identical to last month’s figure, it does not appear as if the new mortgage regulations have had much effect on the market. At this point, it’s difficult to predict how or if the changes will affect the market this winter season. Typically around this time of the year, things start to slow down as the weather gets colder, however this year has been anything but normal. Logically it certainly seems like it has become even more difficult than it already is for already stressed first time home buyers to enter the market, and this could cause a “trickle-up” to larger homes. Fortunately (or unfortunately if you are a first time buyer), prices and demand for entry level homes seem as high as ever as investors continue to purchase these homes as rental properties.